After decades of off-shoring and downsizing that have left blue collar workers obsolete, the United States is now on the verge of an industrial renaissance. We don't have a skilled labor pool to fill the positions that will be created, which are technically demanding and require specialized skills. A decades-long series of idealistic educational policies with the expressed goal of getting every student to go to college has left a generation of potential workers out of the system. 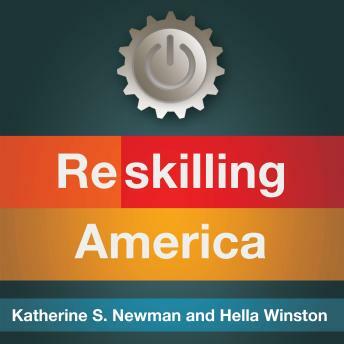 Touted as a progressive, egalitarian institution providing opportunity even to those with the greatest need, the American secondary school system has deepened existing inequalities.Acclaimed sociologists Katherine Newman and Hella Winston argue we can do better. Taking a page from the successful experience of countries like Germany and Austria, they call for a radical reevaluation of the idea of vocational training. The United States can prepare a high performance labor force if we revamp our school system to value industry apprenticeship and technical education. By doing so, we will not only be able to meet the growing demand for skilled employees in dozens of sectors-we will make the American Dream accessible to all.